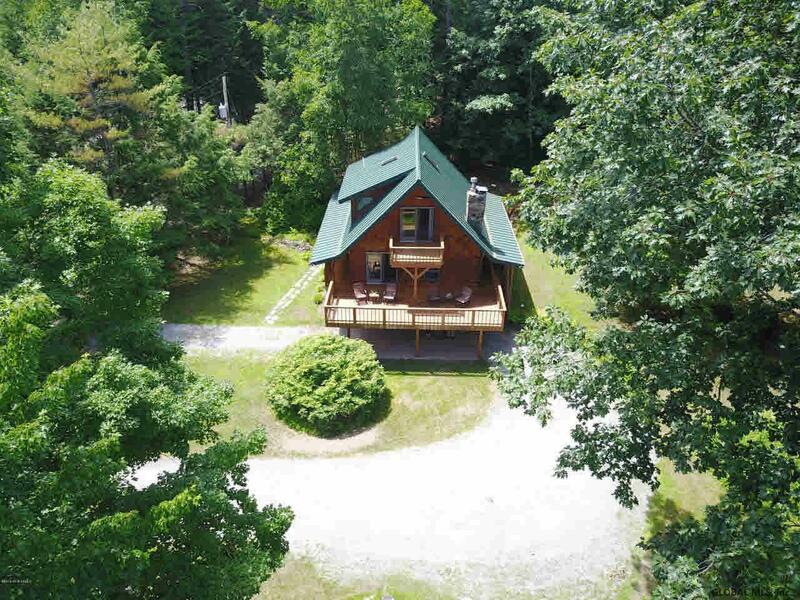 Bolton Landing- Two year round homes on 2.78 acres with a Lake George lakeview! Main house offers an open floor plan with wood floors, stone fireplace with gas logs, updated kitchen and sliders to a wrap around deck. On the first level is a family room with woodstove, bedroom, full bath & laundry room. Upstairs, find two additional bedrooms with balconies and an updated full bath. The guest home, set away from the main house, offers one bedroom, full bath, living area & large recreation room. A walkout basement has plenty of space for storage, full bathroom & single car garage. Automatic generators for each home. Nestled in the woods on a private road just 2.5 miles from beaches, restaurants & marinas. Need more-Comes Furnished! Turnkey..Just bring your suitcase!